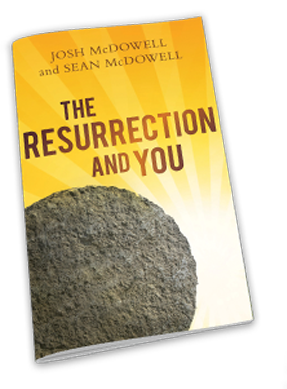 Josh and Sean McDowell have created this 64-page booklet to be a handy ministry tool to answer common questions about the validity of Christ’s resurrection. Readers are presented with compelling facts that underscore the reliability of Scripture. Our Savior lives! Hi! Sean McDowell here! My dad and I are excited to offer you our booklet, The Resurrection and You. 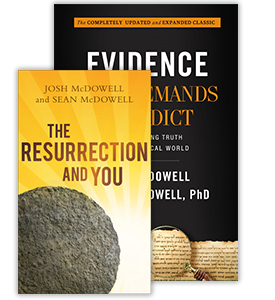 In just four, easy-to-read chapters we share factual, historical evidence that gives believers certainty that Jesus rose from the dead, just as He promised! What event transformed the disciples from defeated, cowering persons in hiding to bold evangelists? The resurrection! Why were they willing to spread the Good News despite being beaten, imprisoned, and threatened with martyrdom? The resurrection! 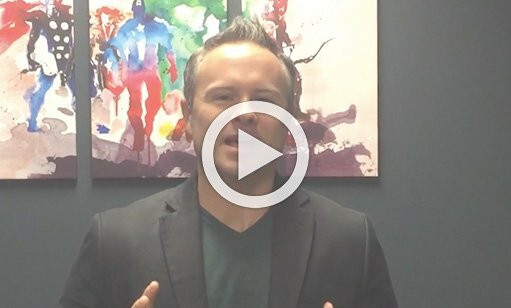 What gives us peace and strength today to share the Good News? The resurrection! We are certain this little booklet will be an effective evangelism tool for you this Easter season. So consider purchasing a case of 148 to give to visitors at your Easter services, or packs of 10 or 30 to share the Good News!